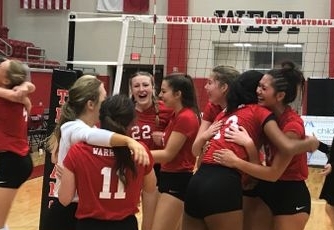 Christ Academy Wichita Falls, TX | Private Parochial School | Early Education, Elementary, Junior & Senior High | Christian Academy Lady Warriors Win State Volleyball Title! Lady Warriors Win State Volleyball Title! It was a realistic goal all year for Christ Academy to win the TAPPS 1A State Volleyball championship. They turned that dream into a reality Friday with three dominating sets and claimed the program’s second state championship. Read more from the Times Record News now!